The modern world is filled with smart systems. Smart systems are built into today's homes, appliances and buildings, as well as mobile devices. Unfortunately, school districts may continue using older, antiquated systems that were created well before the advent of cloud-based technology, the Internet of Things, and advanced analytics. School leaders need to understand the value of an energy analytics platform and how to implement it to drive savings. Fewer opportunities to encourage energy-conservative behaviors among staff and students. Poor performance among students, resulting from uncomfortable classroom conditions. Lack of visibility into energy costs and consumption. Potential disruptions caused by asset malfunctions. Reactive analytics to find why energy costs have grown. Predictive analytics enhance forecasting of energy costs provided current conditions remain unchanged. Prescriptive analytics detail actions and interventions are necessary to achieve the goal of energy savings, including zero energy design, as explained by the Better Buildings Initiative. Validation of energy consumption and rates that have been set and billed by the energy company, which ensures schools are paying a fair price for the energy used. Optimized control of assets and prioritization of maintenance reduces disruption to the learning environment, improving the quality of education for students and increasing a district’s ability to attract and retain teachers and students alike. Better preparation for emergencies and black swan weather events. Better allocation of labor resources. Reinvestment of savings to improve the quality of education. Movement toward eligibility for local, state and federal incentives programs and grants. Understand your energy use and behaviors affecting energy use. Review energy analytics’ platform providers or vendors, such as Cenergistic. Track energy use for buildings, specific locations, such as classrooms, auditoriums and gymnasiums, and classes. Leverage historical and real-time data in your platform to empower reactive analytics. Train team members on how to interpret data analytics’ results. Take advantage of third-party expertise, including an On-Site Energy Specialist. Use machine learning and artificial intelligence to streamline the use of advanced energy analytics. Remember the influence of weather when making any decision affecting asset runtime or performance. Although an energy analytics platform is essential to saving money for school districts that face tightening budgets, understanding how to implement and put such platforms to work is not always clear. Even with the best-laid plans, Education Facilities Managers still need in-person instruction, and this fact is evident for Facilities Managers that have limited experience with increasing student engagement around changing behavior as it relates to energy conservation, for example. For these schools, Cenergistic provides an invaluable resource in the form of an On-Site Energy Specialist who can work with Education Facilities Managers, school officials, students, and staff to use analytics to reach the goal of saving money on energy. 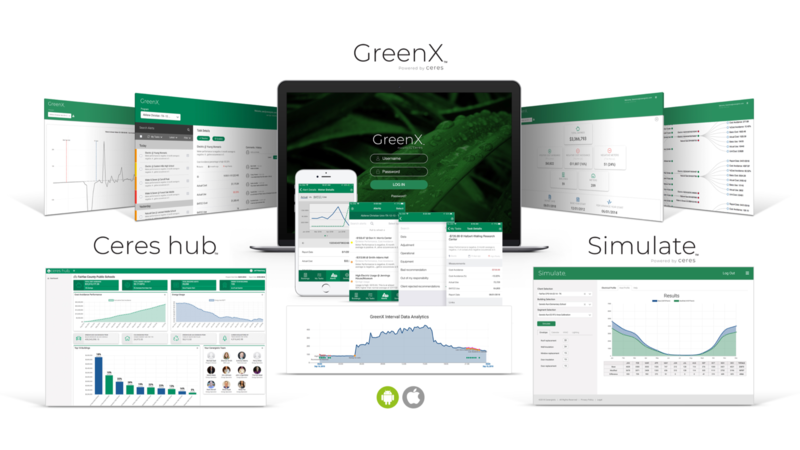 Find out what your school needs to do to get started with an energy management platform by contacting Cenergistic, and learn about our full Ceres™ software platform today, and, download the product briefs here on Ceres™ GreenX, Simulate and Predict.